The Global Offshore Brazil Summit is a must attend event for stakeholders, influencers and decision makers in the Upstream O&G market. Allison Tonkin | December 14, 2017 | Attendance. Bookmark the permalink. Gulf Quest LLC, a joint venture between Quest Offshore and Gulf Publishing Company, is pleased to announce the first edition of the Global Offshore Brazil Summit (GOBS), which will be held June 11-13, 2018 at the Sheraton Grand, Rio de Janeiro, Brazil. 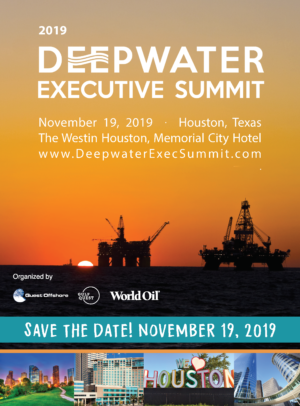 With the official support of ABESPetro, this Summit looks to create an event to explore new and expanded offshore and deepwater opportunities in Brazil. This Summit will be comprised of seven interactive Panel Sessions over two full days discussing the Strategy, Finance and Technology needs of the international marketplace.